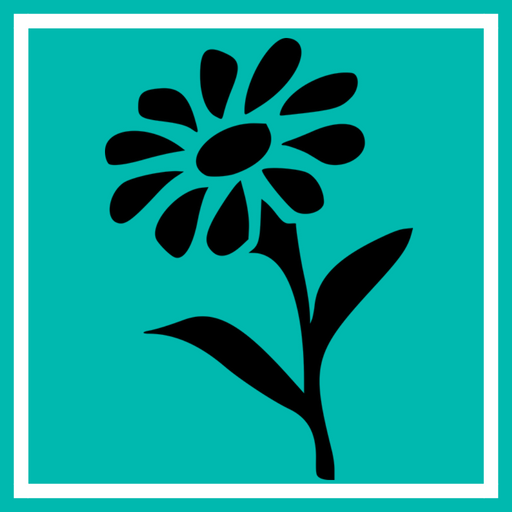 When I began my kindness journey six years ago, it was with intentional purpose to share the stories with others while also providing a way for kindness recipients to get an “insider’s view” of what led up to their specific kindness or why it had meaning to me. It’s a fun way to keep the conversation going, keep the kindness spreading, and also becomes a living journal of my adventures. I also LOVE surprises and nothing beats the surprise of having someone reach out to let you know they received your kind act! It doesn’t happen often, but when it does, it can transform an ordinary day into a magical moment! 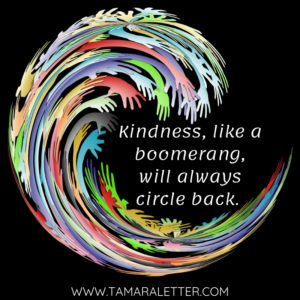 While I share several of these heartfelt “kindness boomerangs” in my new book, A Passion for Kindness, (which will be released in February – just around the corner! ), I had another one happen on Christmas Day and it made my heart soar once again. 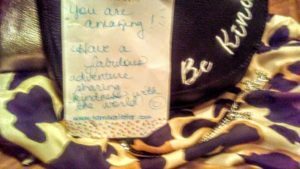 As many of you know, one of my favorite kindness days of the year is RAK Friday, where I go out in the crowds of Black Friday shoppers and do lots of little acts of kindness wherever I go. 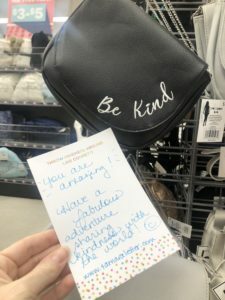 One of the RAKs I completed was jotting down a note of affirmation and encouragement and leaving it inside of a “Be Kind” purse at a local store. 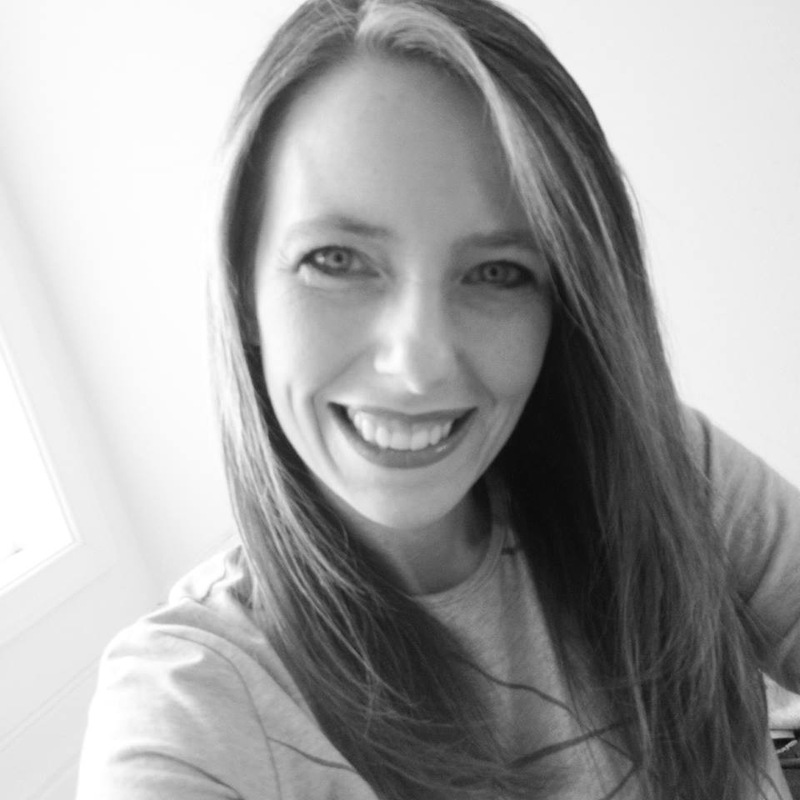 Photo from my RAK Friday blog post. I took a photo of the note, tucked it inside the bag, said a little prayer that whoever would find it would be blessed, and went on about my day. 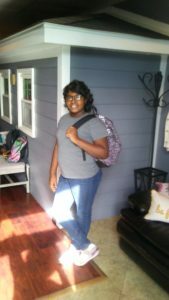 Rita shared that the purse was a gift from her childhood friend for her daughter, Maria, who is “known for her kindness to others.” It was such a thrill to hear how this RAK was discovered and to know another seed of kindness will scatter to others! Have you received a surprise act of kindness this holiday season? I would love to hear your stories, too! Comment below and let’s keep the kindness going!